I'm Curious Too: Invasive Species: How to Deal with Them? Invasive Species: How to Deal with Them? Invasive species destroy native animals and establish themselves as top predator over the newfound land. The situation is not always bad but it is most of the time annoying. An example would be the European Rabbit. Rabbits are partially blamed for the extinction of almost an eighth of mammal species in Australia(the rest are due to anthropogenic activities). Rabbits breed like, well, like rabbits. They can reproduce from 3–4 months of age. They can produce 4-7 litters of offspring per year, a mature female can be pregnant continuously for 6–8 months. One single pair of mature rabbits are able to produce 30-40 offspring per year. We have a few ways to solve this problem. 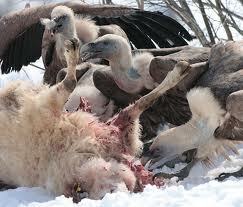 First of course is by introducing the species' natural predator into the ecosystem. This is called biological pest control. 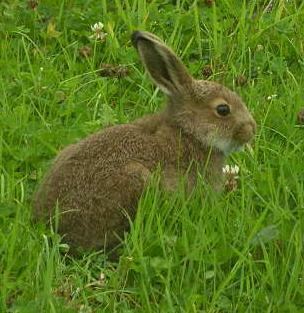 Foxes, wolves, lynx or other predators can be brought in to control the population of rabbits. That in turn, nevertheless, is another potential disaster in itself. Once the population of rabbit is depleted, the predator would turn to other animals for food, and thus affecting the native species as well. Hence this method cannot produce a win-win situation-mother nature would always be the losing party. 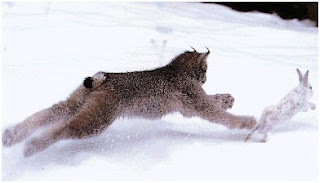 Secondly is by using drugs and traps, and hunt them down one by one. This is yet another bad method, though highly effective. 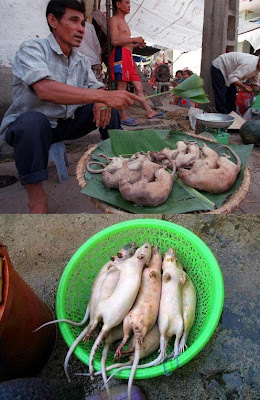 Rat poison, for example, will circulate around the food chain continuously; vultures dying after scavenging poisoned rats, and the process goes on and on until the entire vulture population dies off. The story doesn't stop there; rain water washes away the poison from the decomposed carcass and contaminate the river system, and we consume the water from the polluted river. Bingo. 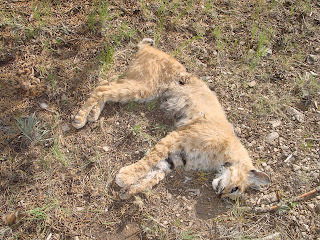 Poisoned bobcat on BLM land, central New Mexico, near Carrizozo, June 2004. As I have said earlier, the situation isn't always bad-we do have positive methods of dealing with invasive species-by turning them into food. When human beings decide that something tastes good, we can take them down pretty quickly. The Dodo went extinct within 200 years after its discovery, most of them ended up on the dinner table of ancient sailors. So we can use our appetite to help mother nature here; our taste for passenger pigeon wiped that species out, what if we developed a similar taste for rats? 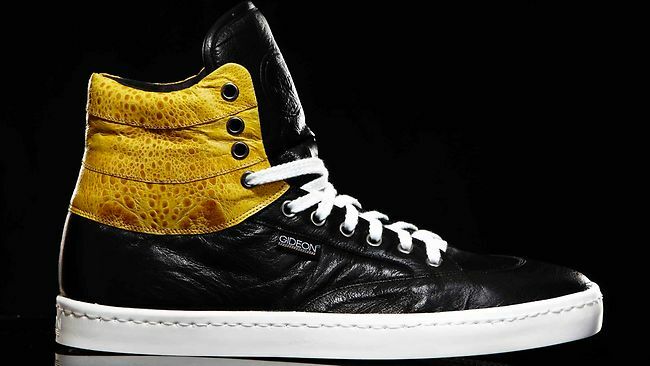 Last but not least, attention all ladies out there, we make them into shoes. Shoemakers are harvesting, tanning, and dying the hides of poisonous cane toads in Australia and pairing them with the hide of a too-plentiful native, the kangaroo, to construct handmade and fashionable sneakers. For those of you yearning for the warmth of a mink fur, you could turn to, say, rabbits instead of the endangered mink. You save the ecosystem and at the same time appease your thirst for glamor. Astrology is A LOAD OF RUBBISH.